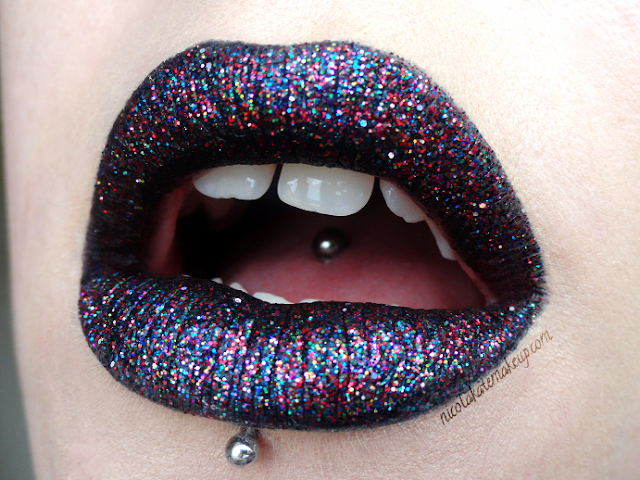 Here's some more crazy glittery mouth goodness courtesy of Anastasia Beverly Hills and Violet Voss. I no longer have to use black eyeliner as a base for my glitter lip looks since I got my hands on the jet black matte 'Midnight' liquid lipstick - yay! 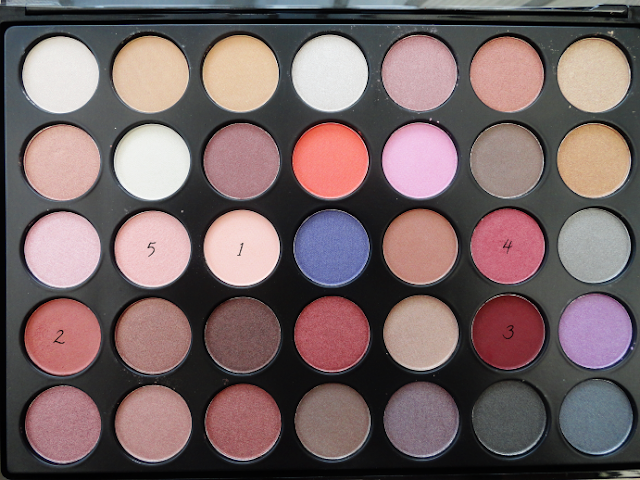 I was very happy to receive the new 35 Color Eyehadow Palette from OPVhair.com last week, and was instantly drawn to all over the lovely red and pink earthy tones inside it as these are the kind of shades that make my eye colour pop the most, so this is what I did today to kickstart my week. I'm already a lover of OPV's brushes, lashes and hair and skin oils so it was lovely to be able to try some of their makeup. These shadows are so unbelievably soft and blend SO easily without losing any of the pigmentation. 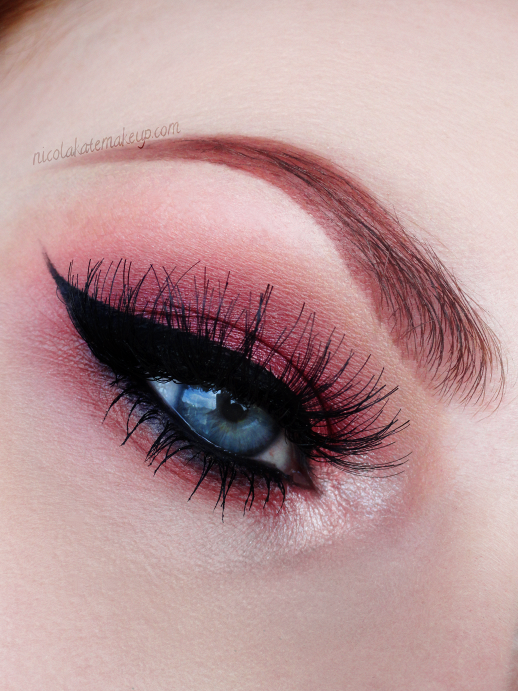 They're probably some of the best shadows for blending that I've tried so far and make soft looks like this one below achievable in no time at all. I put together a little guide below so you can see which shadow is placed where.